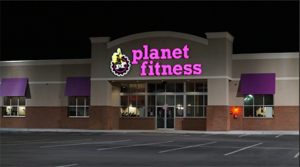 PHOENIX, ARIZONA – NAI Horizon negotiated a long-term lease for Planet Fitness at Estrella Town Center in Phoenix. With this deal, NAI Horizon has negotiated long-term leases in the past year totaling more than $21 million for Planet Fitness locations across the Valley. The NAI Horizon retail properties team of Senior Vice Presidents Chris Gerow, Shelby Tworek, Gabe Ortega, and Associate Patrick Anthon represented the tenant, United PF TOM LLC of Austin, Texas, in the Phoenix transaction totaling $1.387 million. “This is a strategic infill location that links three other clubs in the area, giving Planet the best market coverage of any health club,” Gerow said. The Phoenix Planet Fitness, 7620 W. Lower Buckeye Rd., will occupy 15,750-square-feet at Estrella Town Center. The developer is working at securing other tenants in the adjacent 13 acres. The landlord, HH-Estrella, LLC of Phoenix was represented by Tim Westfall of Newmark Grubb Knight Frank.